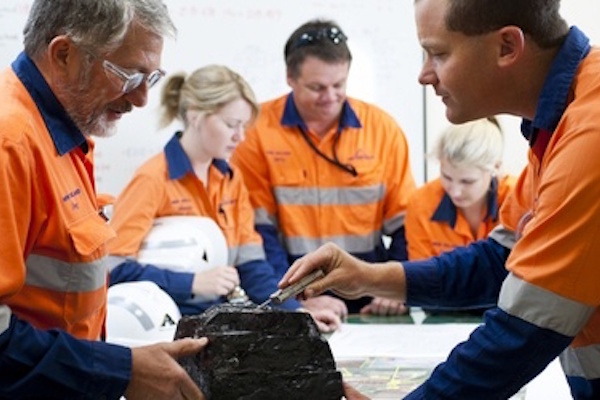 A diversified energy company has been given the go-ahead for its $700 million coal mining project in southern Queensland, creating 685 jobs. New Hope Group (NHG) recently received Federal Government approval to start work on its New Acland Stage 3 Continuation Project, 10km north of Oakey. The project involves ramping-up production from 4.8 to 7.5 million tonnes per annum at NHG’s existing New Acland Open-cut Coal Mine. The project is expected to employ 260 construction workers and 435 operational staff plus 2300 indirect employees. NHG vows to hire as many people from the local region as possible. QMEB understands the mine does not employ fly-in fly-out workers, and instead accommodates employees in Toowoomba (45 per cent), Oakey (35 per cent) and the Warwick / Goondiwindi / Kingaroy area (20 per cent). The company is hiring a technical systems technician to work within the New Acland maintenance team. This position will be responsible for maintaining the technical systems and ensuring the development and execution of maintenance plans, primarily for fleet management and proximity detection systems. Experience in a similar role or having worked with fleet management systems is highly desirable. To apply or view other NHG jobs, click here. “It’s positive news for the local community as it provides optimism for the continuity of operations at New Acland and the increased economic activity associated with the construction of the project,” NHG managing director Shane Stephan says. “This announcement takes the project’s approvals process one step closer to the end. However, the project still requires State Government approvals including, mining lease, environmental authority and associated water licence to be granted before the New Hope Board can consider a final investment decision. “Our 300 direct local employees and 500 contractors have been anxiously awaiting Federal and State approval of this project for many years. Whilst we welcome the Federal EPBC Act approval, timing of state approvals is absolutely critical as the current mining lease is running out of resource and a considerable amount of construction activity is required to enable access to Stage 3 coal. Now we have the federal approval – our people’s futures are squarely in the hands of the Queensland State Government”. The project is promised to provide an economic benefit totalling $12 billion throughout the project’s lifespan until at least the year 2029.